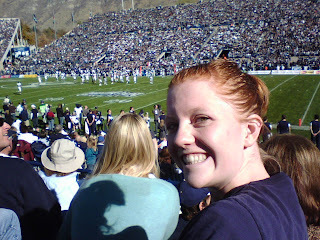 The Farr Out Family: Go Cougars! 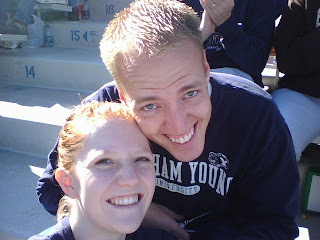 Yesterday Jordan's parents were out of town so we were able to steal their football tickets and go to the BYU vs Colorado State football game. It was a lot of fun and a very much needed break. 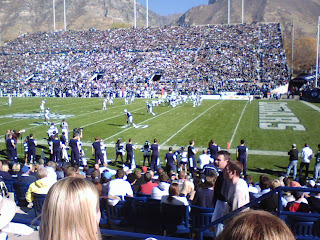 And of course the cougars wasted CSU 35 to 3. This was a sad game for me. My alma mater stinks this year! !